Not just one, ahead of the convening CES 2013, Sony introduced two new phablet, namely Xperia Z and Xperia ZL. Well, if the official information relating Xperia Z we know, then what will the Xperia following ZL grain. The specifications of the Xperia ZL most are not much different from his brother, the Xperia Z. Where the smartphone will come carrying a full HD screen size of 5 inches Mobile BRAVIA Engine 2 technology, quad-core Snapdragon S4 Pro 13 MP main camera with video recording capabilities HDR. Xperia ZLwill run the http://littlebitjohnny.blogspot.com /2012/12/sony-xperia-e-hp-android-jelly-bean.html">Android operating system 4.1.2 Jelly Bean. 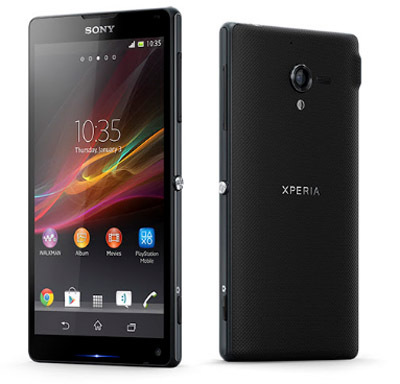 With its dimensions are approximately 131.6 x 69.3 x 9.8 mm, Xperia Z will look more compact than the Xperia Z. Well, aside from the shape and size, it will also distinguish Xperia Z lies in the capacity of the battery, which reportedly will be equipped Xperia ZL slightly larger battery 2370 mAh. Meanwhile, thanks to the IR blaster and its supporting applications are embedded in the Xperia ZL, make this smartphone can be used by the user as a remote control for a variety of home devices, such as TVs, home stereos, and other electronic devices. 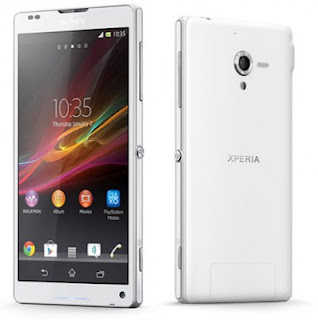 Sony Xperia ZL promised would arrive as soon as this quarter. So that will be the first smartphone from Sony that comes on the market this year. Network: GSM 850/900/1800/1900, HSDPA, LTE; Dimensions: 131.6 x 69.3 x 9.8 mm Weight: 151 grams Screen: capacitive touchscreen, 16 million colors, 1080 x 1920 pixels, 5 inches; Main camera: 13 MP, 4128x3096 pixels, autofocus, LED flash, RS Exmor sensor, Geo-tagging, touch focus, face detection, image stabilization, HDR, sweep panorama, video 1080p @ 30fps, continuous autofocus, video light, video stabilizer, HDR; Secondary Camera : 2.0 MP, 720p @ 30fps; Memory: 16 GB, 2 GB RAM, microSD up to 64 GB; OS: Android OS, v4.1.2 (Jelly Bean), Processor: Qualcomm MSM8064 Snapdragon S4 Pro, Quad-core 1.5 GHz Krait; Data transfer: HSPA + Connectivity: Wi-Fi 802.11 a / b / g / n, dual-band, Wi-Fi Direct, DLNA, Wi-Fi hotspot, Bluetooth v4.0 with A2DP, NFC, Infrared, microUSB v2.0 Other Features: Timescape UI, Sony Mobile BRAVIA Engine 2, A-GPS, HTML5, Stereo FM radio with RDS, SNS integration, One-touch mirroring, xLOUD speaker enhancement, PlayStation certified, IR Remote, MP4/H.263/H .264/WMV player, MP3/eAAC + / WMA / WAV / Flac player, Document viewer, Photo viewer / editor, Voice memo / dial; Battery: Li-Ion 2370 mAh - non removable. You have finished reading Sony Xperia ZL Phablet (Phone Tablet) and many articles about Tech Gallery in our blog this, please read it. and url link of this article is https://littlebitjohnny.blogspot.com/2013/01/sony-xperia-zl-phablet-phone-tablet.html Hopefully discussion articles on provide more knowledge about the world of new tech gadgets.